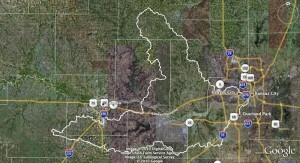 View Kansas River Inventory-Johnson County in a larger map. Click here for help with maps. 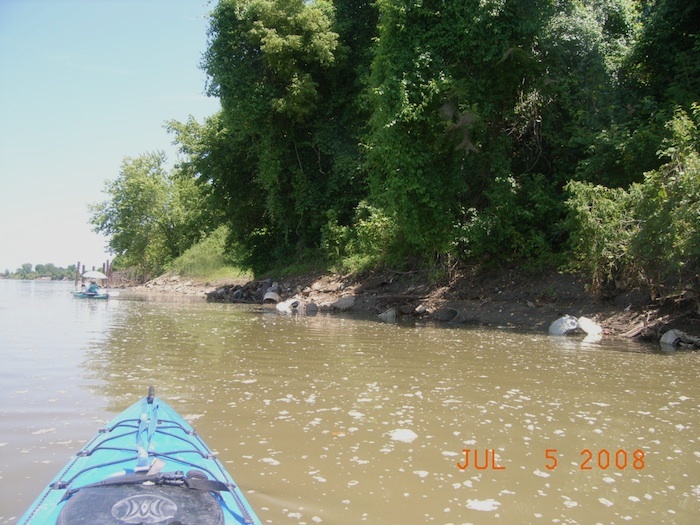 River dredges/Off river pit mines: none – the river above and below De Soto is in a “No Dredge” Zone because of river bed degradation. Portage path is completed on the north side of the WaterOne Coffer Dam and this site is being considered for a future access park. Off river pit mines: Masters Dredging Co., 8220 Gardner Rd. Off river pit mines: HSB Acquisition Co, LLC (formerly Holliday Sand and Gravel) at 21900 West 43rd Street (partially in Bonner Springs) and future pit mine in the general vicinity of the 4700 block of FrisbieRoad. Boat access points: Kaw Point at river mile 0.